If Your Dream Is To Boldly Go, 32 More Planets Have Been Found : The Two-Way Thirty-two more "exoplanets" discovered outside our solar system. Some might support life. The discovery of 32 more planets outside our solar system means there are more places out there somewhere that just might support life. News about the "exoplanets" was announced today at a conference in Portugal. The European Southern Observatory has also posted an online video news release -- complete with some jazzy sci-fi graphics. 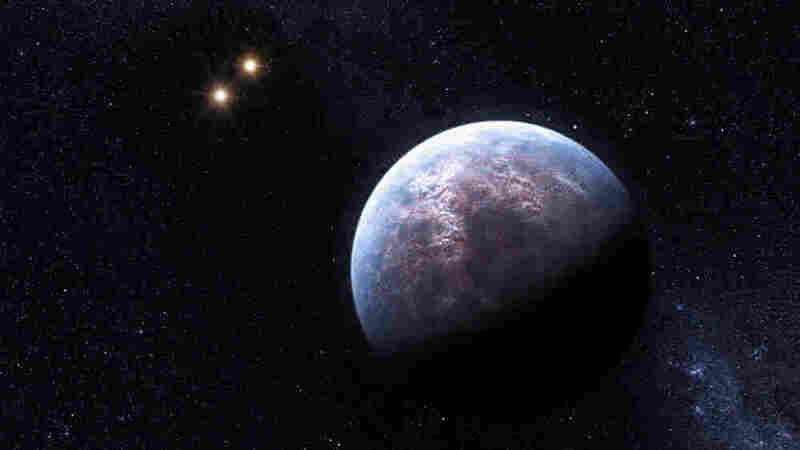 The discovery means there are now about 400 known planets outside our solar system. Wired says that several of the 32 newly discovered planets "qualify as 'super-Earths,' meaning they have a mass only a few times that of our planet and could potentially harbor Earth-like environments." Nature.com says "the planets may not be the biggest, fattest, smallest or Earthiest, but they show that the chances of us finding Earth-like planets are pretty high." Update at 7 p.m. ET: In other celestial news, our friends at The Picture Show blog celebrate the 400th anniversary of the telescope with some far out photos.